From business tycoons to jazz masters, from presidents to Hollywood legends, let us take a look at the top 20 most powerful and prominent families in the history of the United States. The Marsalis family is praised as "the first family of jazz." Ellis Louis Marsalis, Jr., the patriarch of the music family, is honored as the modern jazz master. His eldest son Branford Marsalis is a renowned saxophonist, composer and bandleader. Branford Marsalis Quartet has toured and recorded extensively, and received a Grammy in 2001 for its album "Contemporary Jazz". Wynton Learson Marsalis, the other son of Ellis Marsalis, Jr., is also famous for his jazz music, and became the first jazz musician ever to win the Pulitzer Prize for Music. 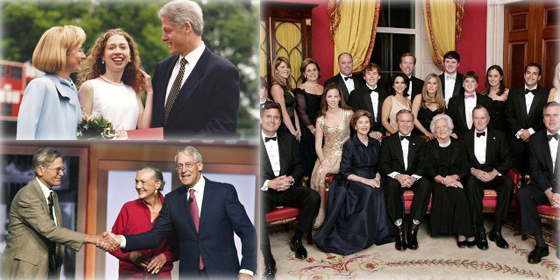 Let us take a look at the top 20 most powerful and prominent families in the history of the United States.